Our Hanging Moisture Absorber is completely unique. These products are expensive and need replacing frequently. The conventional hanging moisture absorber has a limited moisture absorption capacity. Disposable moisture absorbers are bad for the environment. PINGI Moisture Absorbers are a far superior alternative. Introducing the PINGI Hanging Moisture Absorber! Our Hanging Moisture Absorber range can be recharged and used for a couple of years! 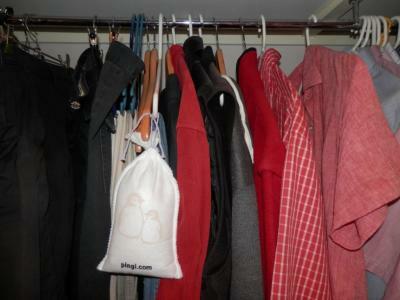 Our PINGI XL 450g Hanging Moisture Absorber has a little bow that you can tie to a hanger. The XL has an outstanding moisture absorption capacity of 180ml per cycle. The blue moisture indicator turns pink over time which tells you that saturation point has been reached. Place the Hanging Moisture Absorber in the sun or in a microwave oven and it is ready for use again. We think it is the best and most cost effective hanging moisture absorber available today. Keep your clothing dry and mould free! 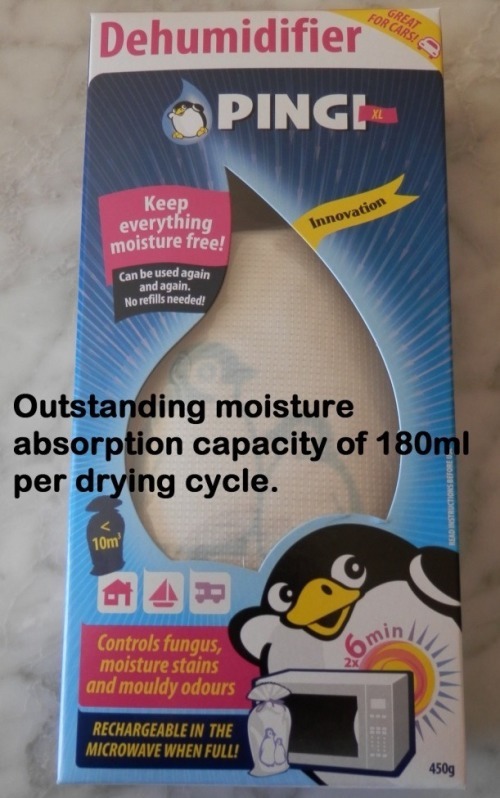 Order your PINGI XL 450g Moisture Absorber today!! Help keep your clothing dry and mould free.